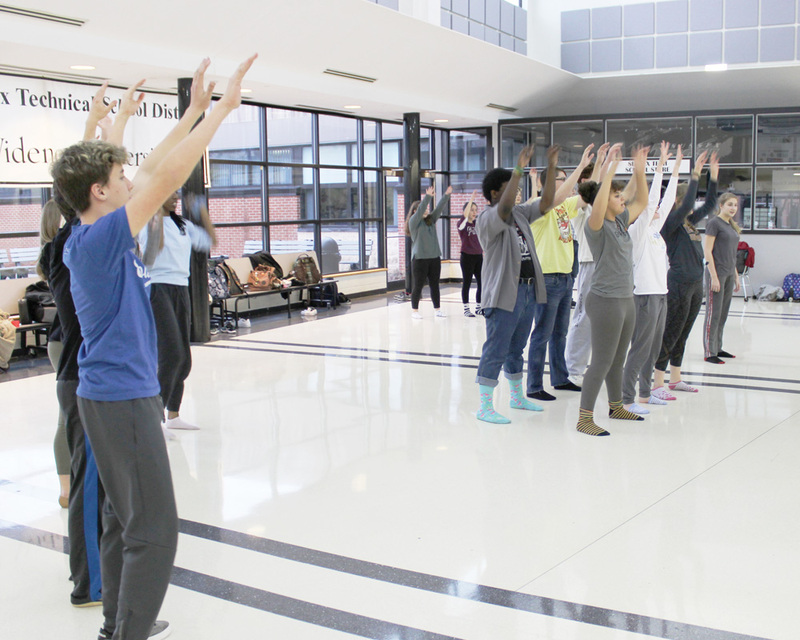 The cast of the Sussex Technical High School performance of “Godspell” rehearses in the school’s Commons area. Featuring an updated score and lyrics by Stephen Schwartz, “Godspell” portrays the events of the Bible’s Book of Matthew on the stage, unfolding the story and parables of Jesus and his disciples via song. The musical includes “Day By Day” and the new addition “Beautiful City.” The cast is led by Julia Sturla of Dagsboro as Jesus and Josh Hoffpauir of Lewes as John the Baptist. Shows are Feb. 14, 15 and 16 at 7 p.m., and Feb. 17 at 3 p.m., at Clear Space Theatre, 20 Baltimore Avenue, Rehoboth Beach. Tickets cost $12 for students and seniors, or $15 for adults. Tickets are on sale to students during all lunches; ticket reservations are available through email (anthony.natoli@sussexvt.k12.de.us) or can be purchased at the door. Checks can be made out to Sussex Technical High School. 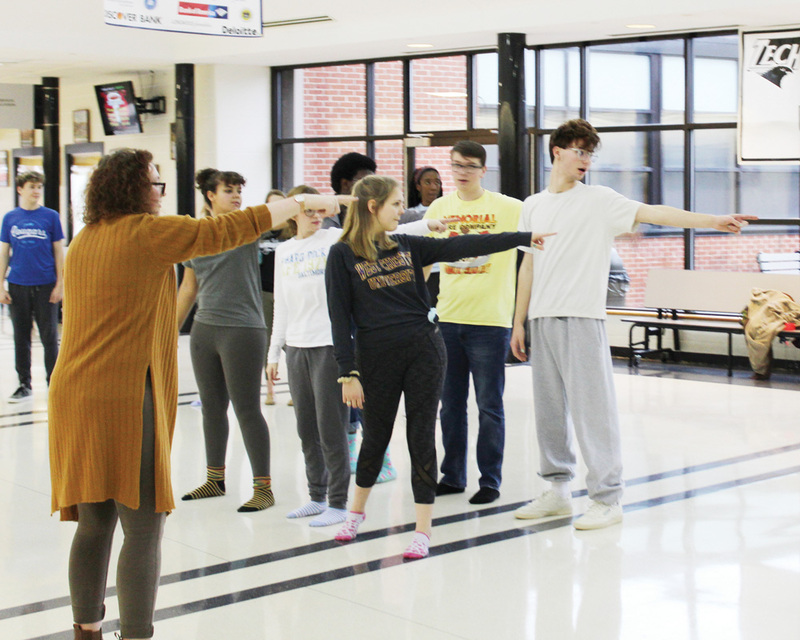 The cast and crew includes local students junior Lauren Porter and sophomore Julia Sturla of Dagsboro; seniors Onaedo Okoye and Sydney Gross, juniors Ansley Morrow and Megan Moriarty, and sophomores Abby Krams and Madelyn Moore of Millsboro; and senior Hannah LoRusso of Selbyville. The student production staff includes senior Madison Shifflett and junior Maria Cusimano, both of Ocean View.